Multistate Mega Millions offers players the chance to win BIG for just $3.00 per play ($2.00 for actual ticket cost and $1.00 for service). The jackpots start at $15 million on every Tuesday and Friday night at 11:00 PM ET. 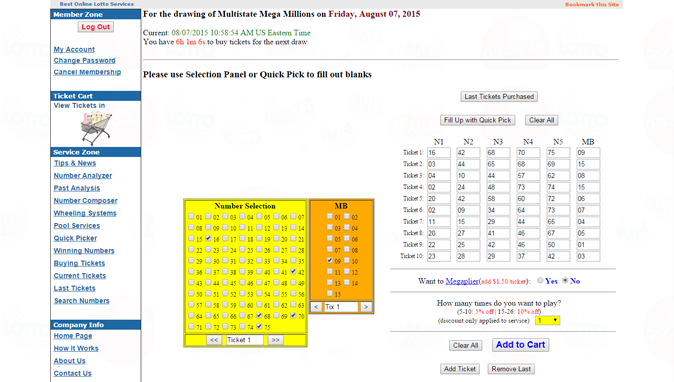 You may also use our Mega Millions Wheeling System to wheel the numbers, and click Fill with Wheeling Numbers to fill out numbers in the Ticket Cart.